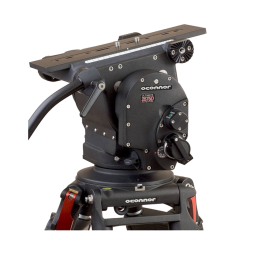 O’Connors popular 2575 heavy-duty fluid head is suitable for all cameras but is recommended for use with Arri Alexas & RED Dragons and with larger lenses such as the Angenieux 24-290mm. Featuring O’Connor’s famous step-less fluid drag, this head gives you precise and even movement at any friction level. We supply our O’Connor heads with MOY fittings as standard, though a 150mm bowl adapter is available upon request. Following the renowned 2060HD, the 2065 shares the same design as O’Connor’s higher-payload fluid heads like the 2575D. 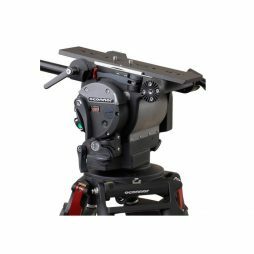 Pan and tilt controls are located on the left side of the head so operation is both intuitive and familiar. We supply our O’Connor heads with MOY fittings as standard, though a 150mm bowl adaptor is available upon request. 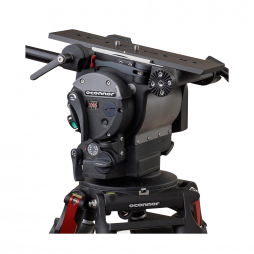 A mid-sized fluid head suitable for camera configurations up to 37.7kg in weight.